Simple, Safe. And proven to benefit your pet's health. 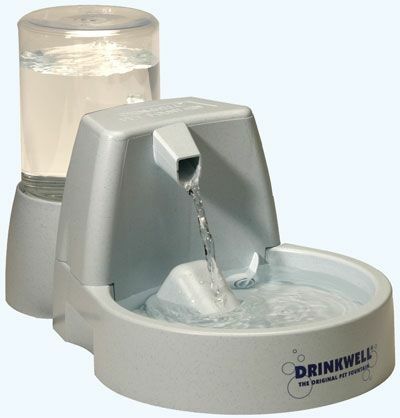 The Drinwkell Pet Fountain is a great way to show your pets just how much you care. Our research shows that one of the best ways to improve your pet's health is to get them to drink more water. And the best way to do that is with the Drinkwell Pet Fountain. By using a 5-inch falling stream of water, the Pet Fountain continually aerates your pet's water with healthful oxygen. A charcoal filter also removes bad tastes and odors, giving your pet the best possible - and most appealing - way to stay hydrated!